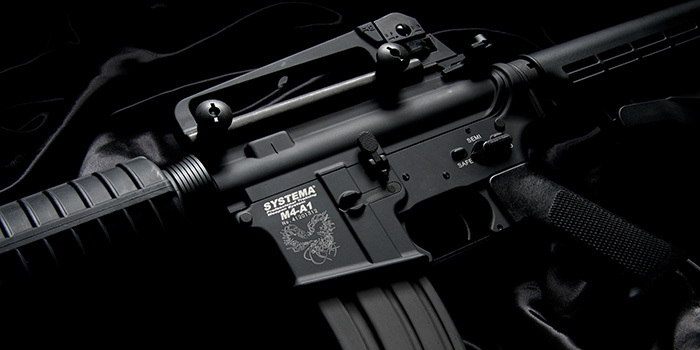 Systema Professional Training Weapons (PTW) are the most premium electric Airsoft guns today. 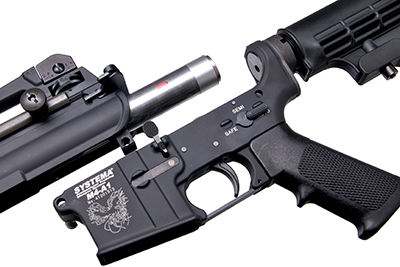 Using computerized optical technology, PTWs offer precise trigger control that simulates the feeling of a real gun. Simply tap the trigger once and the computer will do the rest to complete the firing cycle. Semi-only and 3-Burst modes are also available on select models. 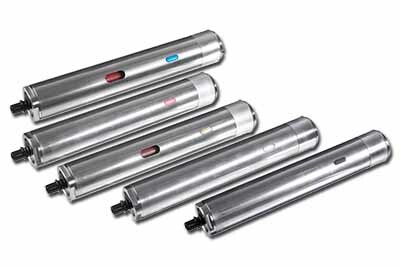 Interchangeable power cylinders (sold separately) allow you to change the power output in less than 10 seconds with no tools. Real steel dimensions means that the PTW can fit all accessories designed for real guns, giving you endless customization options. And realistic bolt lock function disengages the trigger once the magazine is empty; perfect for real world training. PTWs are available in regular (M90), MAX (M150), MAX2 (M110), MAX3 (M130, M150), SUPER MAX (M165) and MADMAX (M170) models for the full range of M4 / M16 series. For those wanting a MAX version with M90 power, but want the freedom to upgrade later to an M150 cylinder, the MAX2 is right for you. Note that the gear design in the regular, MAX and SUPER MAX PTWs are all different. SUPER MAX PTWs can accept the full range of power cylinders from M90 through M165. MAX, MAX2, and MAX3 PTW’s can accept M150, M130, M110 and M90. Regular PTWs can only accept M90 cylinders. For those who want to save some money and assemble the PTW yourself, then consider the CHALLENGE KITs. These are DIY kits that come with everything you need to build a PTW. Building it yourself means you will understand how to maintain and upgrade the PTW.